Please join our mailing list to receive notifications about future events. 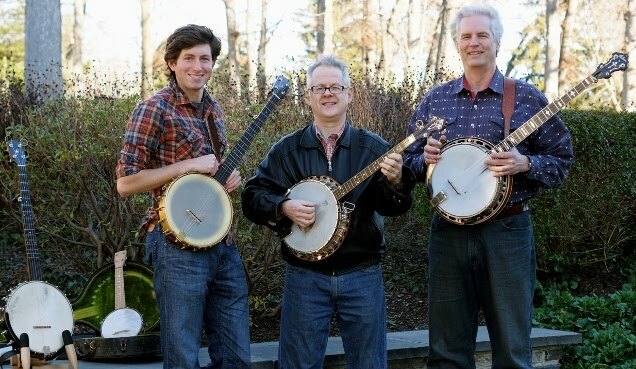 We are a community of musicians, dancers, and listeners who love the traditional music of Ireland. A lively session at J. Patrick's Irish Pub in Baltimore. 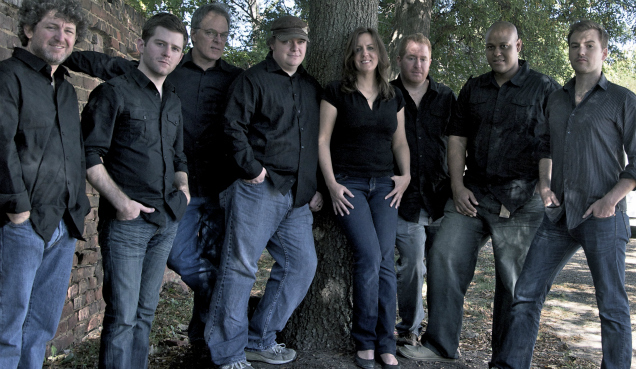 J. Patrick's All-Stars is a subcommittee of the Baltimore Folk Music Society Special Events Committee. We appreciate the support and sponsorship of the BFMS and the Maryland State Arts Council, and we try to bring a new musical dimension to their activities. 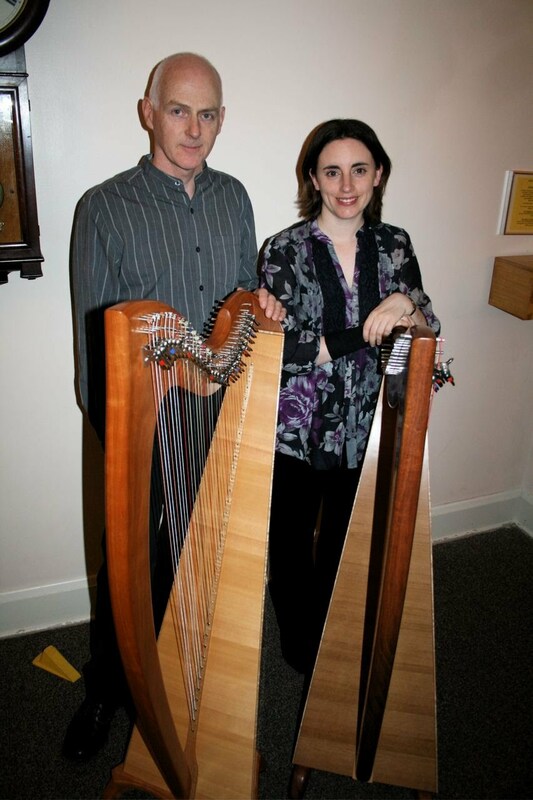 We organize workshops and small concerts, bringing the very best traditional Irish musicians to Baltimore's thriving Irish music scene and featuring talented local players. Our musical home in Baltimore, Maryland since 1987 has been J. Patrick's Irish Pub. The central hub of Baltimore's Irish music scene, J. Patrick's closed January 1st, 2013 and will soon reopen under new management. It is our hope that you can soon come again for live Irish music, sessions or dancing any night of the week. Musicians and listeners of all skill levels will be welcome, so we hope to see you come enjoy a meal, a drink and a tune. Check out the Facebook page. 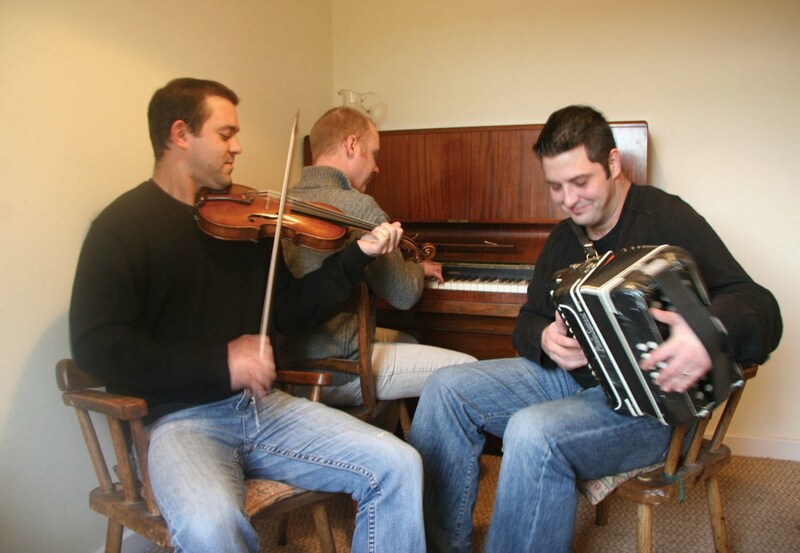 Meanwhile...lively traditional Irish sessions are led by local musicians at other venues. 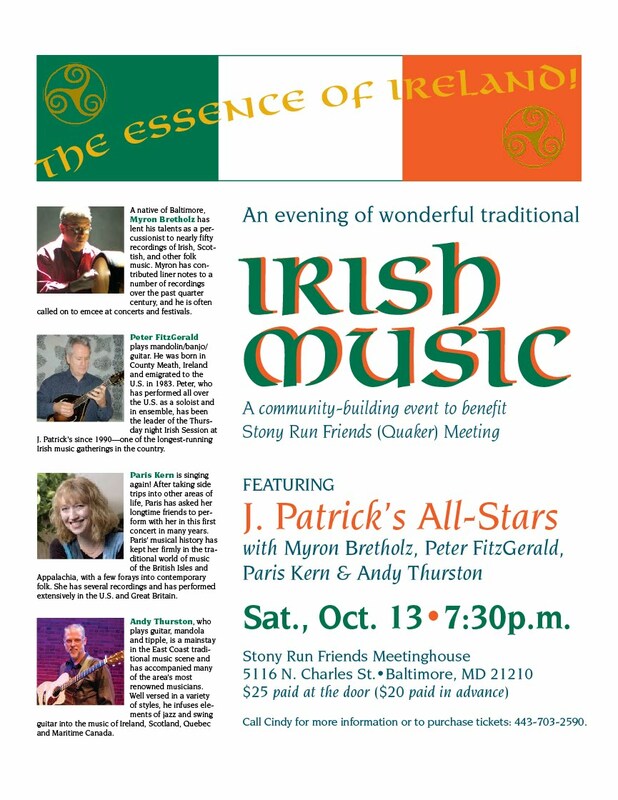 Check out the Calendar for more information about these and other Irish music events in the Baltimore area. Note that J. Patrick's calendar will not be operational until further notice. Join our mailing list to receive updates about future events! Andy Thurston and Peter Fitzgerald opened for Angelina Carberry and Martin Quinn at a concert organized by J. Patrick's All-Stars in July, 2009. 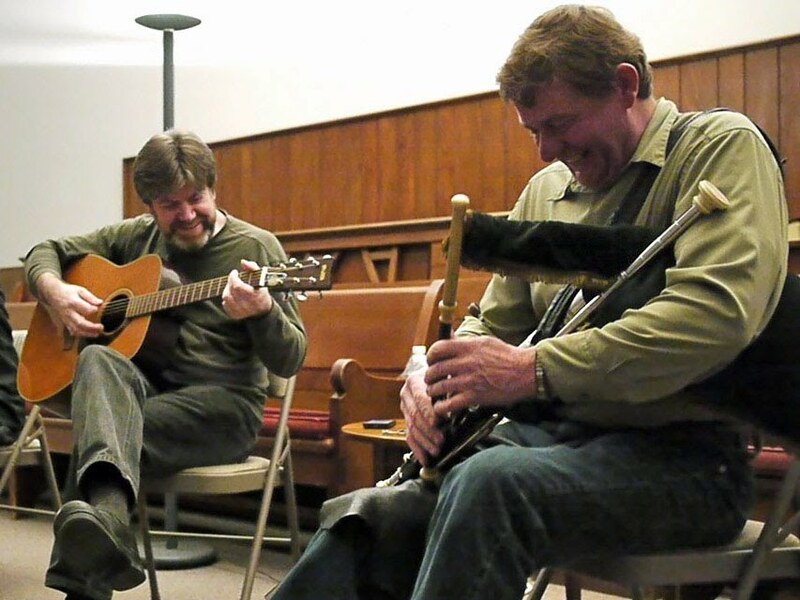 Pat Egan and Michael "Piper" Cooney performed at a concert organized by J. Patrick's All-Stars in January, 2011.